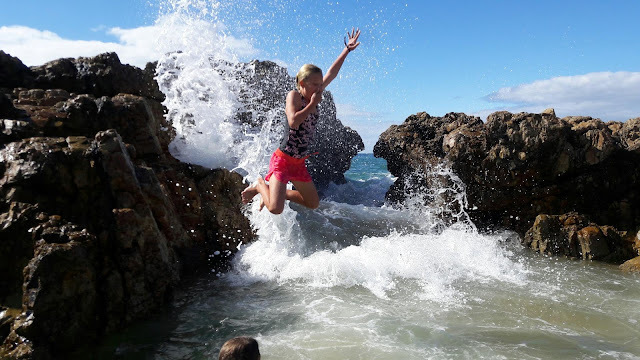 Port Elizabeth Daily Photo: Beach fun at "The Rock"
When we were small one of our favorite places to go on a Sunday afternoon was "The Rock". The Rock refers to the rock below Something Good with the gap through which the waves wash into the little natural tidal pool. 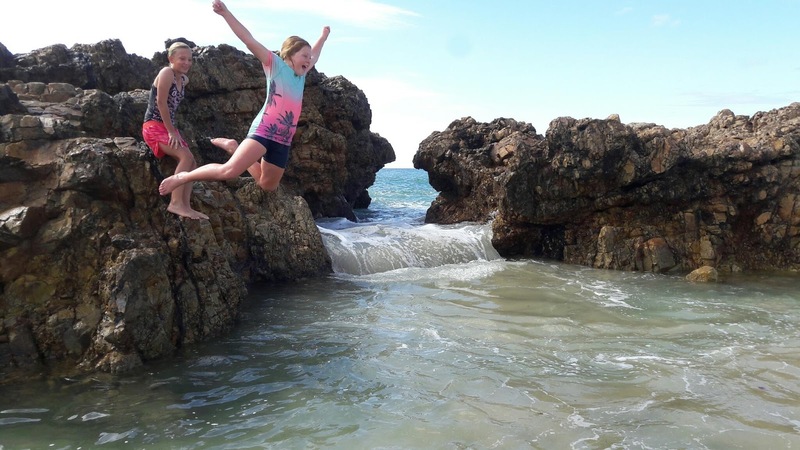 Today we spent a couple of hours on the beach and Miggie and her friend Dinky had a great time leaping off the rocks into the swimming hole. For some reason I forgot my camera at home but luckily I had my phone.